Are you surprised by the arrival of even larger cooler? Me neither. But how does a 30cm fan on a huge heatpiped cooler sound? Impressive or just seriously crazy? We checked out a lot of Orbs from Thermaltake previously at CeBit, however this time on stand was a DUOrb GPU cooler, with two fans and dual heatpipes. 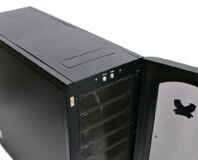 It's very similar to Zalman's VF-series GPU coolers, but this comes with "twice" the cooling. 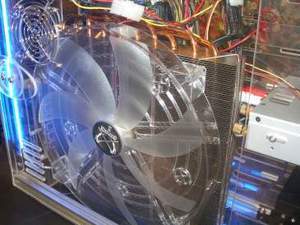 Scythe had a concept 30cm CPU fan and heatsink on display. This beast of a cooler contained no less than ten heatpipes in its massive fin array. The Scythe Zipang has one of the largest CPU fans we've seen at 14.5cm, which should supply some superior cooling with less noise. 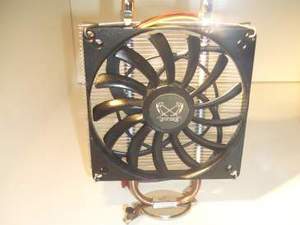 It's compatible with 12cm fans if you have your favourite you can't do without, although at 1000RPM and 21dB supplying over 81CFM of airflow, the included one will beat many other fan's ability to cool. The Scythe Kodachi is a northbridge cooler with 10.5cm fan attached to a large, dual heatpiped fin array. No weight was given, but even though it's an all aluminium design it has a high centre of gravity which could push the two included push pins to their limits, especially when mounted in a case and at 90 degrees to the ground. Finally, the Ninja CU is a Special Edition cooler that's been pending a few years. Scythe were concerned that the near kilogram weight would buckle some motherboards, however it finally caved to the calls from the Internets for a copper model. It'll only be arriving in limited supply, so when it's available, grab one quick if you've been waiting for it. 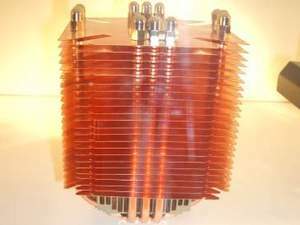 With heatsinks like this, could it spell the end of anything but the most expensive watercooling? Discuss in the forums. Usually a company more associated with heatsinks than chassis, Scythe has just released the ultra silent Fenris Wolf. 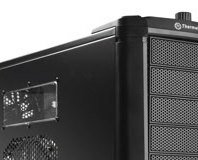 With all aluminium construction and a whisper quiet cooling system, can the Fenris Wolf prove a worthy entry into the enthusiast case market? Read on to find out! 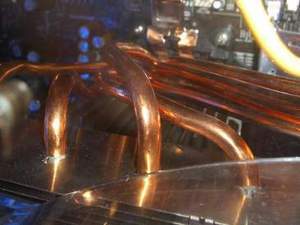 Today we look at the Scythe Zipang, a behemoth of a heatsink packing no less than six copper heatpipes, a 139mm fan and dozens of aluminium cooling fins. It certainly looks the business, but can the Zipang deliver where it matters in the bit-tech test rig? We find out.